Aerosol fire suppression is a new cutting-edge fire protection technology. GLB is a Stat-X certified and authorized distributor. Portable type model (First Responder) available here. The protected area does not need to be completely sealed. Agent compensation is possible. No global warming potential (GWP). 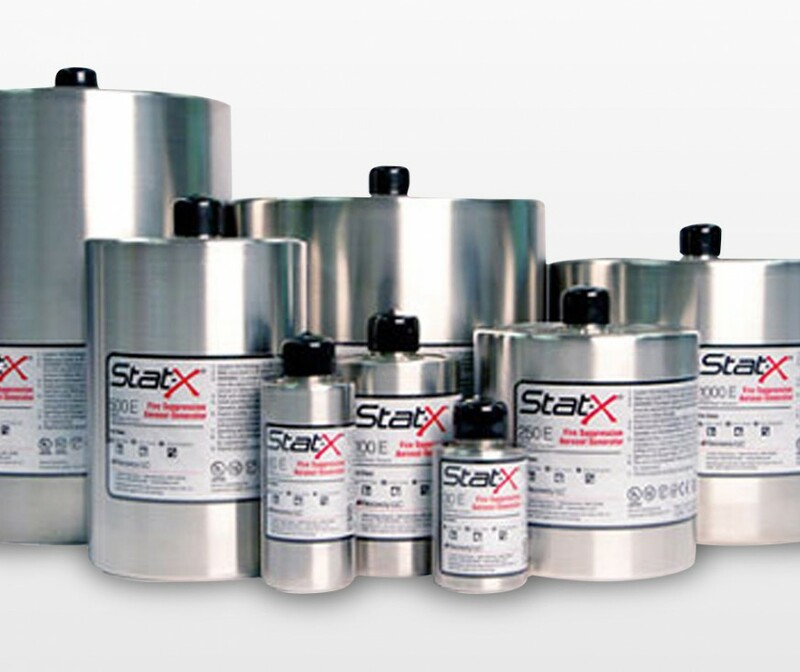 Stat-X fixed units can be either electric, thermal or manual according to the protection requirements. Different discharge capabilities are available depending on the hazard to protect.